The business between Rihanna and Chris Brown is Off so seeing Chris Brown liking her Rihanna's Instagram photos is like hell to her after he has played around her for several years ago. We all know it that Rihanna and her business which she keep promoting on social media is a very crucial thing to and since all this while she has been busy doing an update on her Instagram account where she post all about here Fenty stuff which also get her own father filed for a his misdemeanor. This week we saw Rihanna sharing a message on her Instagram Story which appears to be a shot at Chris Brown. She also liked a comment from one of her fans that called out Breezy for stalking her on social media. “CB thinks he is smart going around liking all of RiRi pics and we just know the next thing she will get is a DM or something, ni**a trying to be sneaky but we see right through you,” the fan wrote. 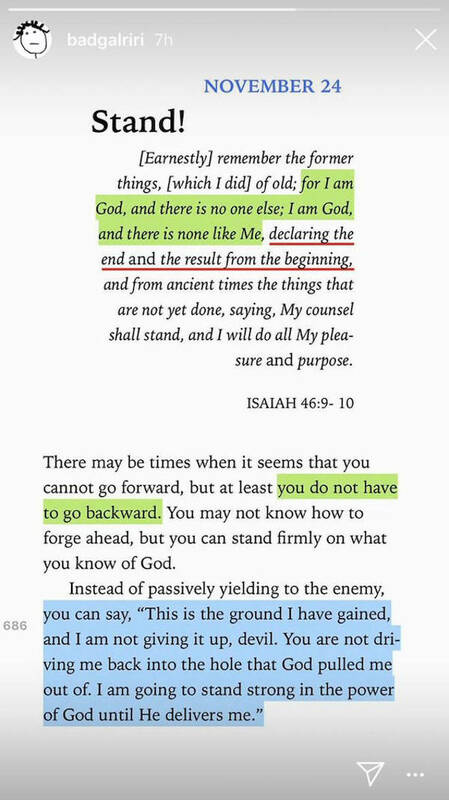 In her post on IG Story, Rihanna wrote, “Moved on to bigger and better things.” A few weeks ago she shared another a more lengthy message and quoted a bible verse. 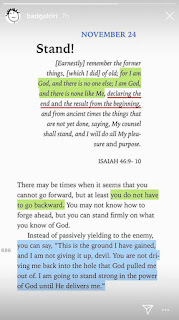 “There may be times when it seems that you cannot go forward, but at least you do not have to go backwards,” she quoted Isaiah 46:9-10. 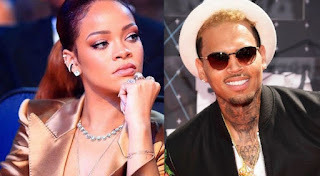 Clearly, Rihanna has been seeing Chris Brown likes and comments and is making her feelings very clear. The two dated on and off for about five years before officially calling it quit in 2013. On a side note, we can’t wait for Rihanna to drop that new dancehall album, it’s going to be fire.